Yeah, so my goal of writing a weekly blog post for all of 2016 was about 50% successful. Not too bad. I have not written here in a few months. Sorry to leave you waiting. It has been a busy time trying to figure out how to grow our business well. Long story short, Fort Bend Coffee Roasters is doing great. The new accounts that we needed to keep the doors open have come through, and there are many more possibilities on the horizon! Also you, my customers, have obviously done your part too as our farmers market, online, and retail sales are all up. We are thankful to everyone who has made the effort to buy our local coffee. So thanks Fort Bend County, I feel the love! So, what has happened since we last talked? A few new accounts have come in such as Whiskey Cake in Katy, the new Proud Pie truck in Sugar Land (and wherever they feel like going), and yes Blockhouse Coffee and Kitchen in Richmond will be opening "soon." Last time I was in there, they had their equipment installed and they were hiring their opening team, so we are talking a few weeks "soon" not a few months. Assuming everything goes according to plan. Which it might! We also started serving our espresso at a TCBY in Cinco Ranch and we expanded our offerings at Kosmos Coffee. They have been using our drip coffee for years, but now they are using our espresso as well. The Sugar Land market continues to be an awesome event for us. We are serving our cold brew coffee now that winter is over and summer is starting (whatever happened to Spring?). Also, happy to announce we will be selling our cold brew blend, by the bag, in a few weeks. I've got a new guy running my booth. Say hi to Tim when you stop by. I'll be training him in the ways of coffee, but don't give him too hard a time as he learns the ropes. We are also planning to expand to a second market at Harvest Green off 99. We will start up that market in a few weeks once I get my new supplies together and get Tim trained up for the Sugar Land market. More and more of you are utilizing our online store. We can ship directly to your house or you can choose one of our convenient pick-up locations (we are planning to add a few more of those too). Also, our weekly and bi-weekly subscription plans are continuing to grow. If you are a regular purchaser of our coffee, consider a subscription. You can set it and forget it, and always have fresh FBCR coffee. 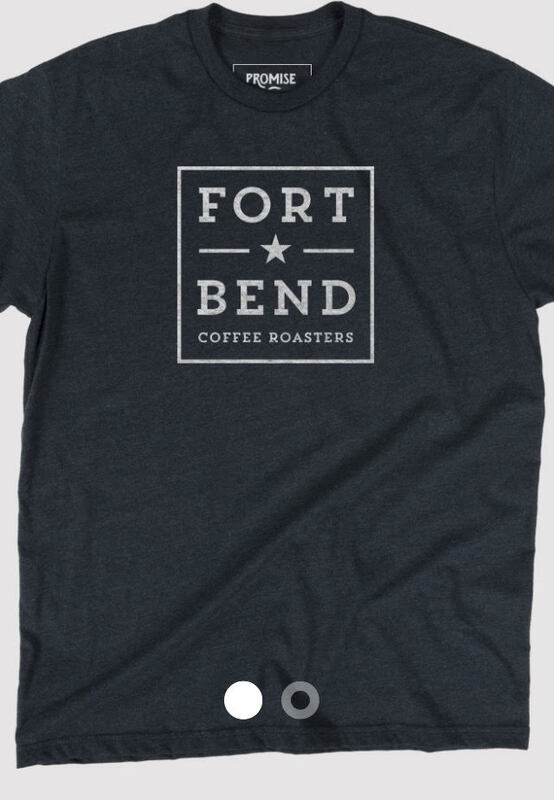 I am also happy to say, we are selling T-shirts with the Fort Bend Coffee Roasters logo, printed in the USA and designed by local company Promise and Oath. I am thinking about bringing in some new mugs too, once I sell some T-shirts. So keep an eye out for those. Coffee-wise, we have brought in some stellar new lots. Rwanda: Miko and Honduras: Finca La Tigra are pushing the envelope of what can be done from these origins. We will also be bringing in a new Brazil natural from the Forca Cafe competition (we have purchased lots from this competition the previous two years). This is a great program that gives very small farmers in Brazil a chance to get a great price for there amazing coffee. This year's lot has notes of vanilla, berries, and charred oak (like bourbon). So that's us in a nutshell. You keep buying the coffee, and I'll keep roasting the coffee. It's good doing business with you. I'm a real coffee roaster now!